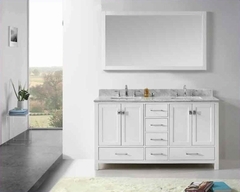 Hints of retro styling lend to the contemporary style of the Soren Collection. Clean lines give way to slightly angled legs on each piece of this modern bedroom suite. 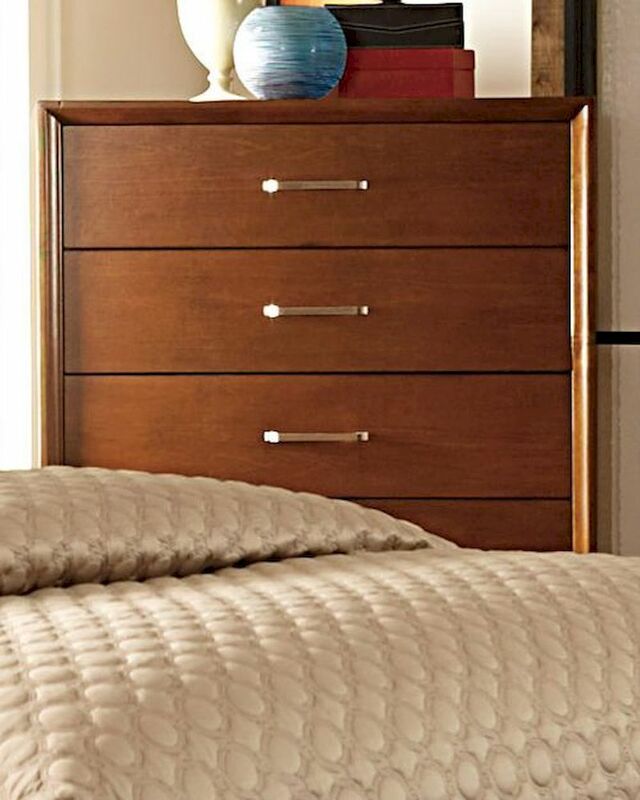 The silver hardware that adorns the drawer fronts serves to highlight the light cherry finish. The padded neutral tone fabric insert of the headboard provides a natural complementary accent to the collection.